The month of April flew by and I spent most of it traveling. But, nothing would stop me from my monthly visit to Maude. 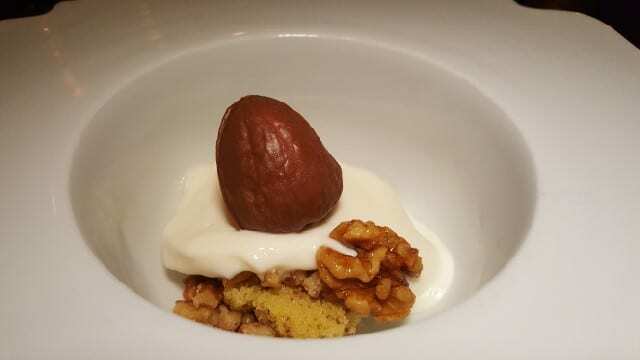 Just before the month ended, I made it in for the April menu featuring walnuts. Walnuts, a rich source of heart-healthy monounsaturated fats and an excellent source of omega-3 fatty acids, are commonly found on a cheese board or baked into pastries. 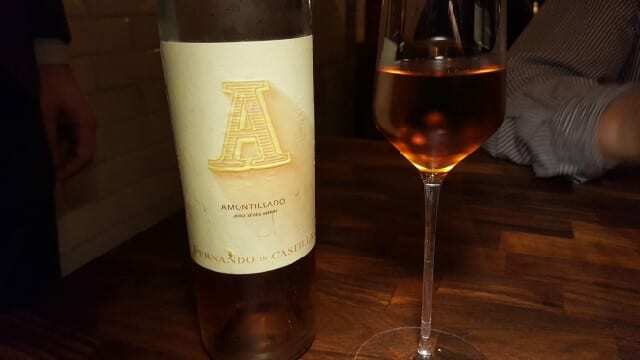 But, as they do each month, Maude took the walnut and utilized it every way, shape and form that one could think of for another unique and tasty menu. 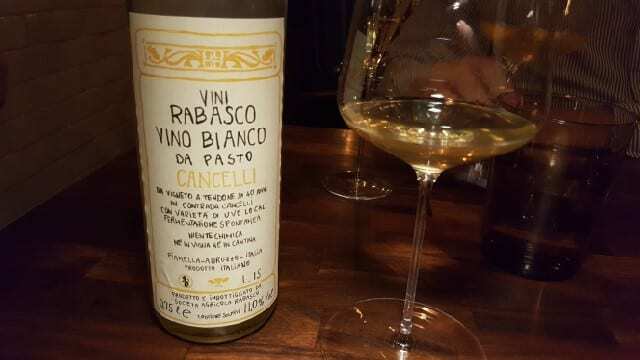 In addition to the menu, we opted to do the wine pairing menu as well. 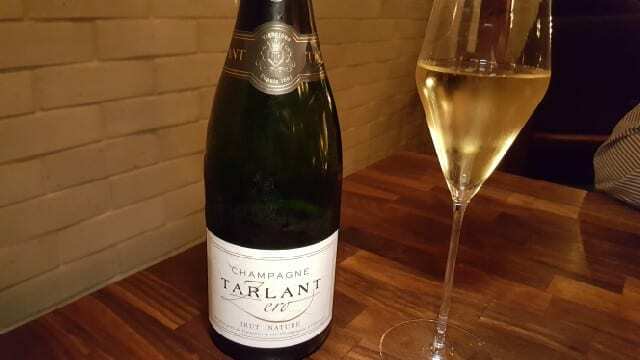 Champagne Tarlant Zero Brut Natural – A bone-dry, crisp Champagne was perfect to start the meal. 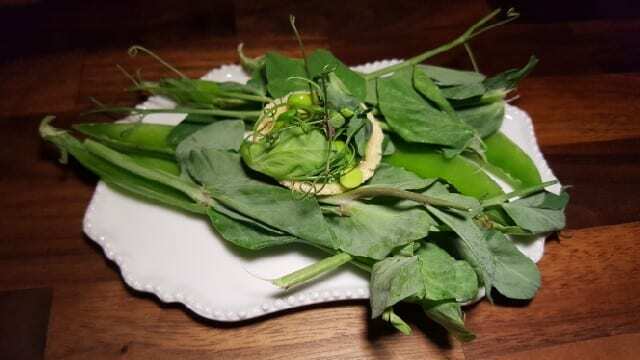 Spring Pea Tart – Sitting on a bright green pad of inedible greens, the spring pea tart was filled with pecorino cheese aged in walnut leaves and spring peas dressed in walnut oil. One quick bite and we were on our way. 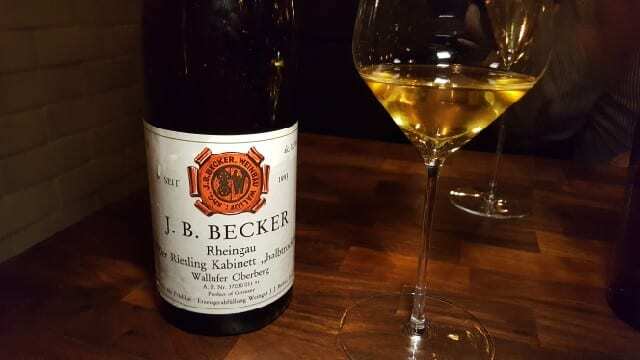 J.B. Becker Riesling Kabinett Halbtrocken, “Wallufer Oberber”, Rheingau, Germany 1990 – With more than 20 years of age on it, this wine was still bright and crisp but so rich in the nose. 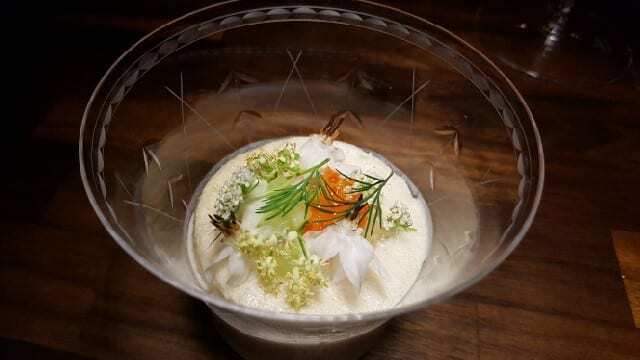 Soup – The soup was a chilled walnut soup with cucumber and smoked trout roe. It reminded me of a smoothie that I make for breakfast. 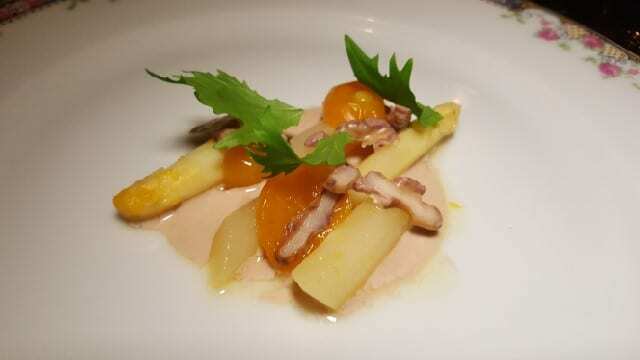 Asparagus – White asparagus with gooseberry, walnut miso and koji. 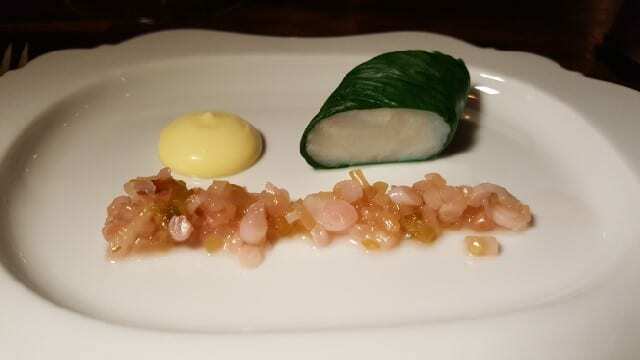 Halibut – The tender halibut is delicately wrapped in ramp leaves and served with pickled ramps and sunchokes and walnut oil emulsion. 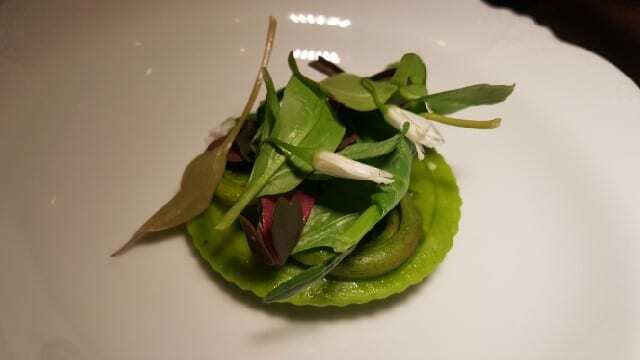 Raviolo – The single raviolo was bright green and filled with a walnut ricotta filling and topped with spring garlic and fiddleheads. Octopus – A thick piece of octopus was perfectly grilled, topped with walnut sauce and accompanied by radishes and red wine gastrique. 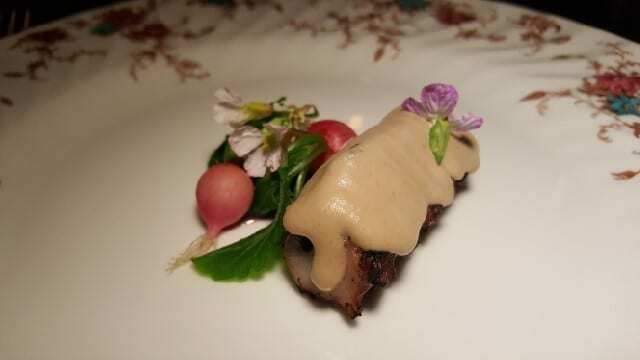 Chicken liver mousse – I am not normally a chicken liver fan, but the smooth mousse was rolled in walnut sable powder and tasted like a creamy, nutty cookie. 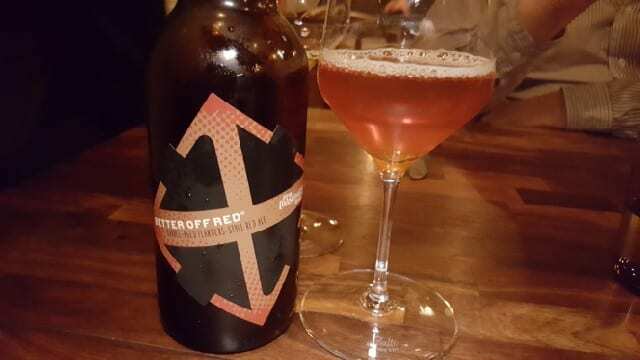 Crux Fermentation Project, “Better of Red” Red Ale, Oregon – Yes, the next course was paired with a beer. 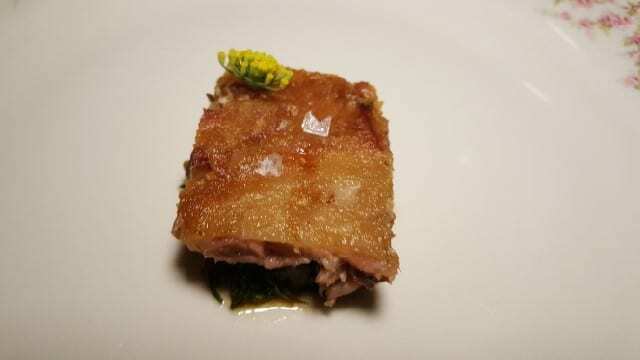 Pig Tail – The pig tail is covered by a crispy skin and sits on top of fennel, walnut and apple cider vinegar. A fennel flower sat on top. 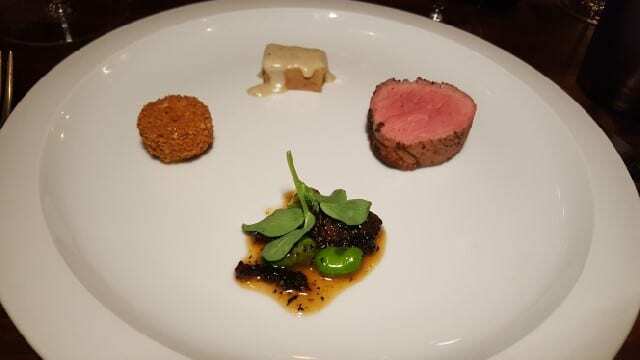 Veal – Veal was served three ways. 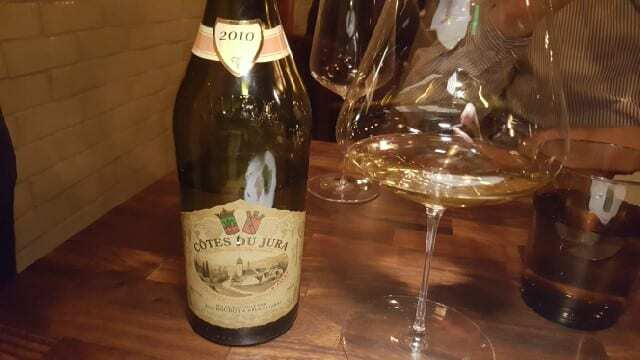 There was veal loin, a veal foot croquette and veal shoulder with blanquet de beau. Morels, fava beans and greens were a beautiful earthy yet fresh addition to the plate. 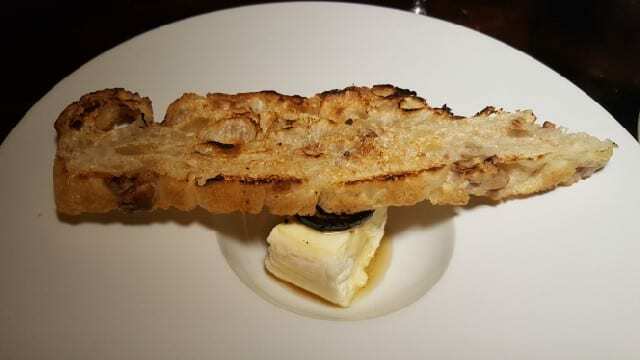 Teleeka – A tri-blend cheese made with cow, sheep and goat milk from Northern California, it was topped with a black walnut preserve and walnut focaccia bread. This was one of my favorite dishes of the night. 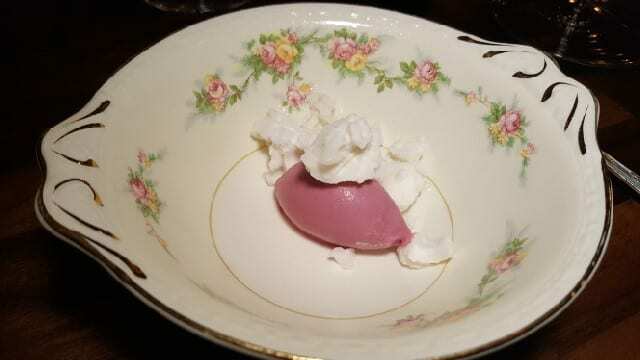 Hibiscus ice cream and a black walnut milk foam was served as a palate cleanser. Banana – Dessert was similar to “chunky monkey” and was a chocolate walnut filled with banana mousse on top of parsnip ice cream, brandied walnuts and almond cake. 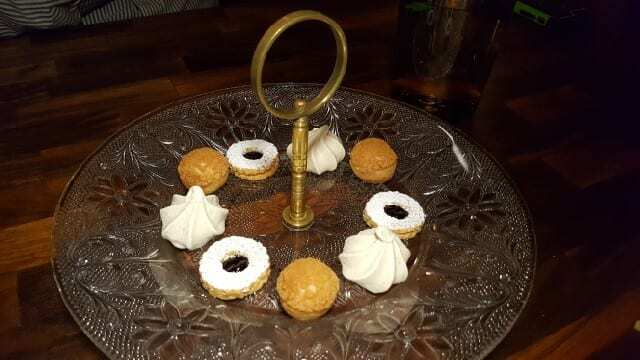 Mignardises – Walnut meringues, walnut cream puffs and walnut and blueberry linzer cookies. The decadence could continue into the next day with the walnut cinnamon roll we were each sent home with. 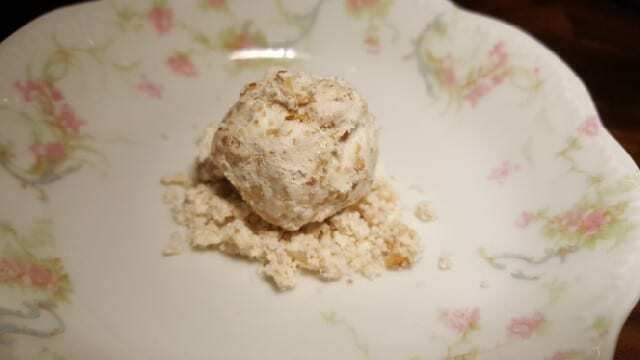 Walnuts definitely have a distinct taste and could not hide in the dishes. 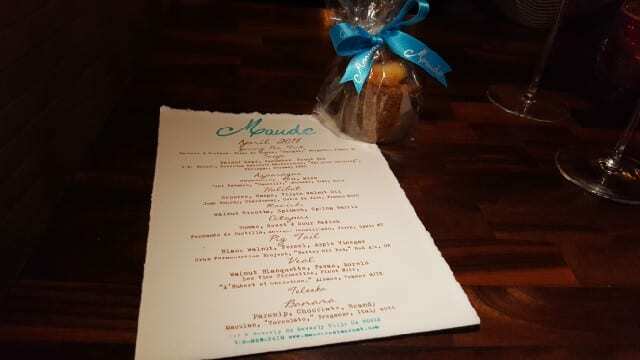 Instead they offered savory, earthy, crunchy and even sweet notes to each course. 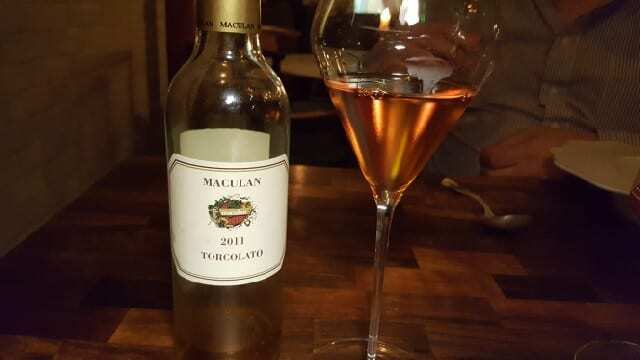 This entry was posted in Food, Wine and tagged food, Maude, Maude Restaurant, seasonal ingredients, tasting menu, Wine, wine pairing by Allison Levine. 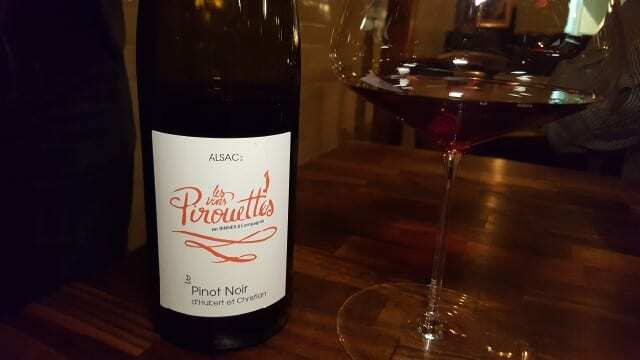 Allison- Gary and I stayed at Champagne Tarlant on our first trip to France and the Champagne region! As always, I love your articles!